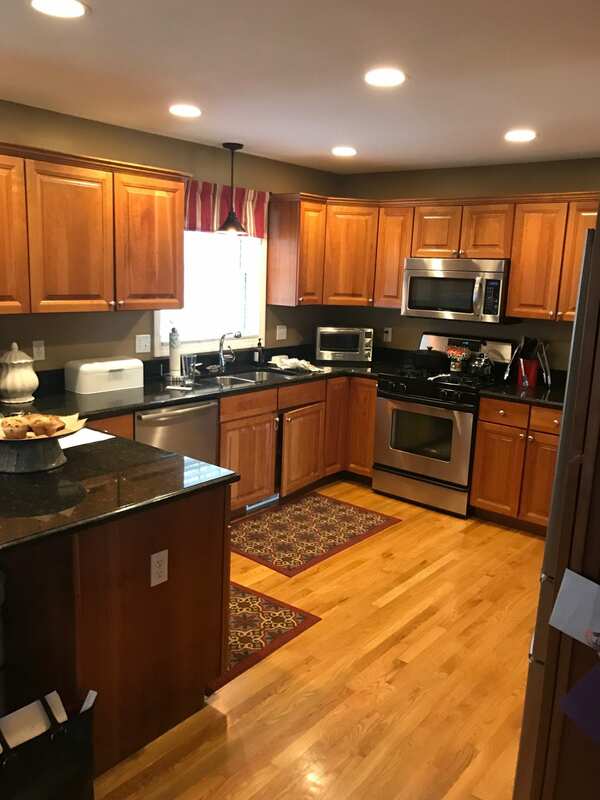 This before and after kitchen makeover in Haverhill, MA is truly an inspiring transformation! The cherry kitchen on the left was transformed into a bright and inviting kitchen. 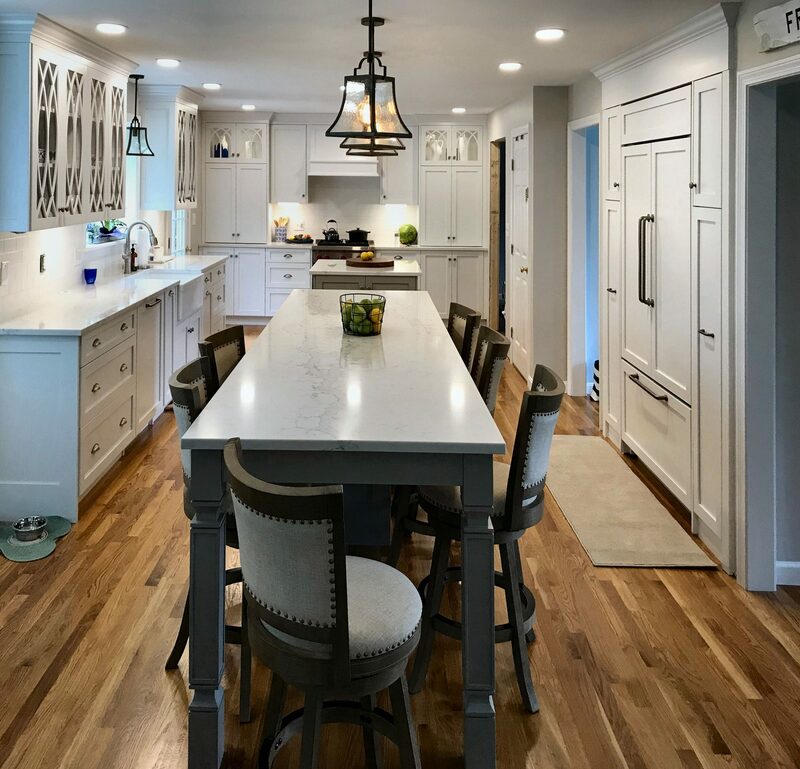 Designed by our designer, Kathleen Anthony, the space is transformed into a traditional farmhouse style kitchen with shaker white cabinets and gray island. Our client wanted to expand the space to add an island. The far end and right walls were pushed back to open the room creating space for two islands. One of the islands functions as a seating space along with drawer storage while the other includes a microwave and added storage. The back door entrance now leads directly into the kitchen. The floor-to-ceiling cabinets create a clean, uncluttered look. Our client’s choices in lighting, countertop and accessories pulls it all together. 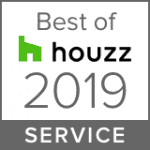 It was our pleasure working on this project! ← Planning storage organization is key!